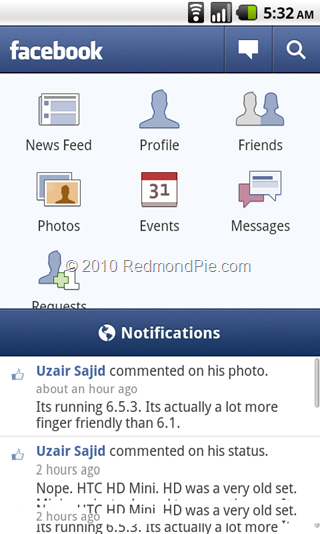 Facebook for Android Gets a Major Overhaul ! Zuckerberg’s Move to Android Might Have Something to do with that.. Finally! 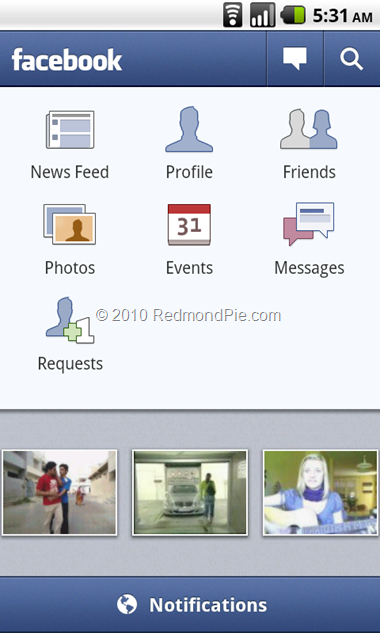 After a long wait, Facebook app for Android has been updated to come on-par, if not better than its iPhone counterpart. Full list of change log is as follows. Screenshots of the new app after the break ! 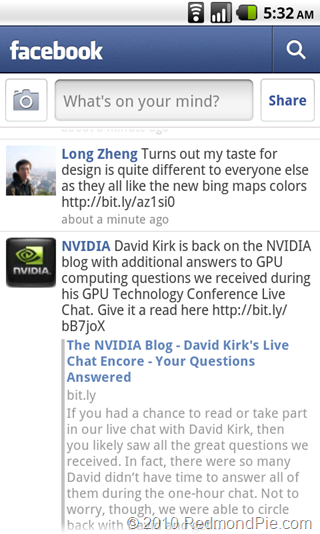 Facebook for Android: Swipe Upwards for Notifications..
Facebook Comments Gets "Like" Button too! basically same thing just re designed to match iOSs. But really no new features that are wanted like FB CHAT! If you had an Android you would have nothing to cry about.